In this episode, Randi and Nathaniel discuss the common hippopotamus. In the process, Nathaniel reveals his deep, deep fear of hippos. In this episode, Nathaniel and Randi decide to try improv, but demonstrate remarkable incompetence. We also remember to talk about hippos. 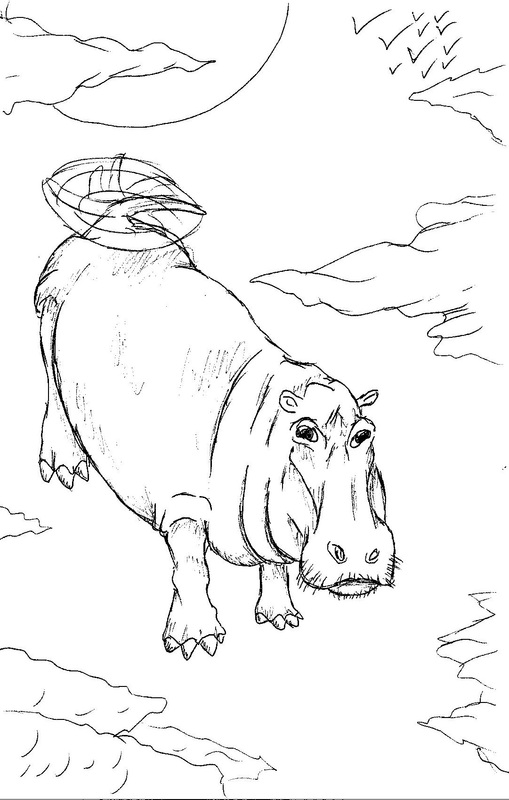 Hippos are megafauna, just like the extinct giant sloths our intrepid hosts discussed in the previous podcast. Although they’re herbivores, hippos are aggressive and very territorial. That’s okay, they only live in certain areas of Africa, right? WRONG. There are also hippos in South America. But how?? Listen to the episode to find out if they’re GREAT, or just okay. “I Think I Could Take It” — Nathaniel takes a job at a hippo nursery. What could possibly go wrong? “What Do You Think It Tastes Like?” — Randi delves into the history behind hippo meat, and one plucky U.S. Senator’s attempt to import hippos to Louisiana. Special Guest Interview — Tune in for an exclusive interview with Ammit, the Egyptian goddess and eater of the dead.